Is Self-Pub the Most Important Dynamic Affecting Major Publishers? Self-Publishing: Is It the Most Important Conversation for Traditional Publishers? This week, I’m at Frankfurt Book Fair in Germany, participating in a future-of-publishing experiment called Sprint Beyond the Book. Click here to read more and participate. 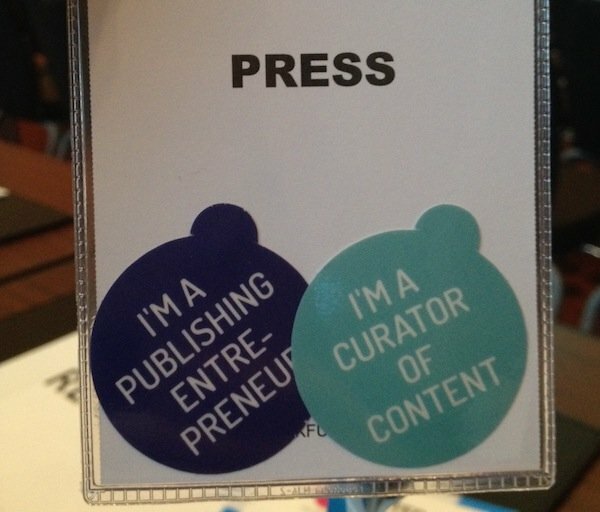 Yesterday, I attended CONTEC, a one-day publishing industry conference, focused on the intersection of content and technology. I wrote a blog post at VQR about the key takeaway, which centered on self-publishing. Click here to read the post. A white paper on author-publisher relations, which speaks fairly directly to the threat traditional publishers face if they get cut out of the process by authors, agents, or others. Stay tuned to Twitter (either my account or VQR’s) for timely updates from my work at Frankfurt. Posted in Publishing Industry, Self-Publishing and tagged e-publishing, ebooks, self-publishing.